dress: richard nicoll for trop50* (here) | heels: french connection (similar here) | pasty as anything legs are my own, sadly. light fake tan recommendations very welcome. hello! i’m nursing a head cold so i had to pause to sneeze about a billion times whilst taking these photos. it also made writing my media ethics essay a complete nightmare, as it was oh so dull and i seriously couldn’t be bothered! but nevermind, i’m hoping a pizza and wrapping myself in a duvet will help. might even start watching the following. wish game of thrones was out already though! too excited. onto the dress, the oh so pattered dress. when i first saw the photos online i was slightly skeptical as it’s very er, unique, but i actually adore it in person. adore it. i feel like a mix of florence welch and some non-specific chick from the 60’s, the combination of which i am totally cool with. 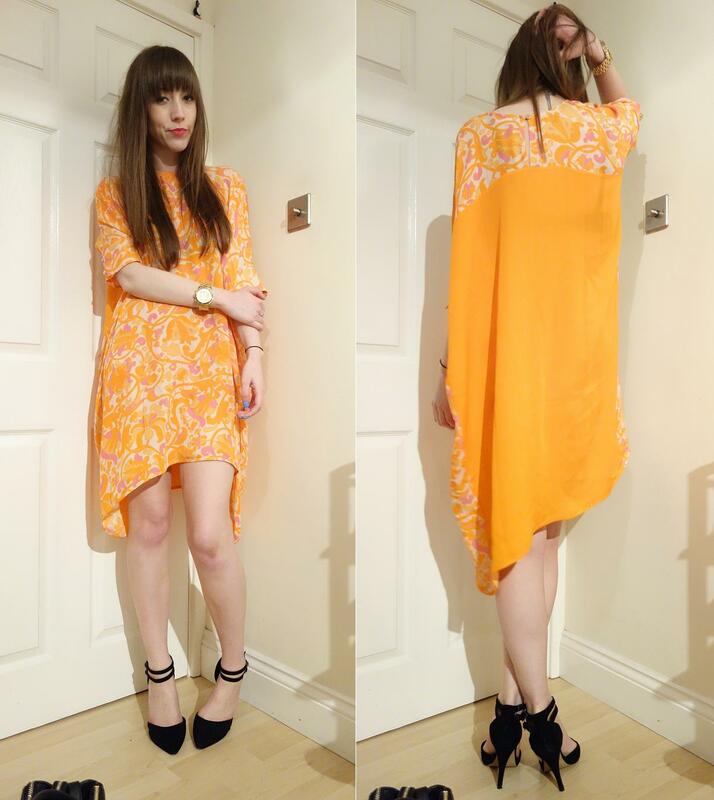 i know you might have seen it already on a few blogs, but richard nicoll designed this limited addition stella dress in association with topicana’s new trop50 drink (which is a new orange juice with 50% less sugar/calories, apparently). i personally think the best thing about this dress is that all of the profits go towards helping people with breast cancer. ain’t that nice? you can buy the dress from atelier-to-go, but only 50 have been made so be quick if you fancy a floaty little number hanging in your wardrobe. reckon it’s going to have to come to rome with me! i’m going to start doing more detail shots in my outfits posts soon i think, as my photos are now smaller so won’t take over your entire screen! oh, and i’m going to start my skincare/haircare/makeup series very soon, so keep your eyes peeled for that (if that’s your sort of thing). make sure you’ve entered my models own giveaway and if you like my blog, i’d absolutely love it if you’d vote for me in the company blog awards under the personal style category! ps. 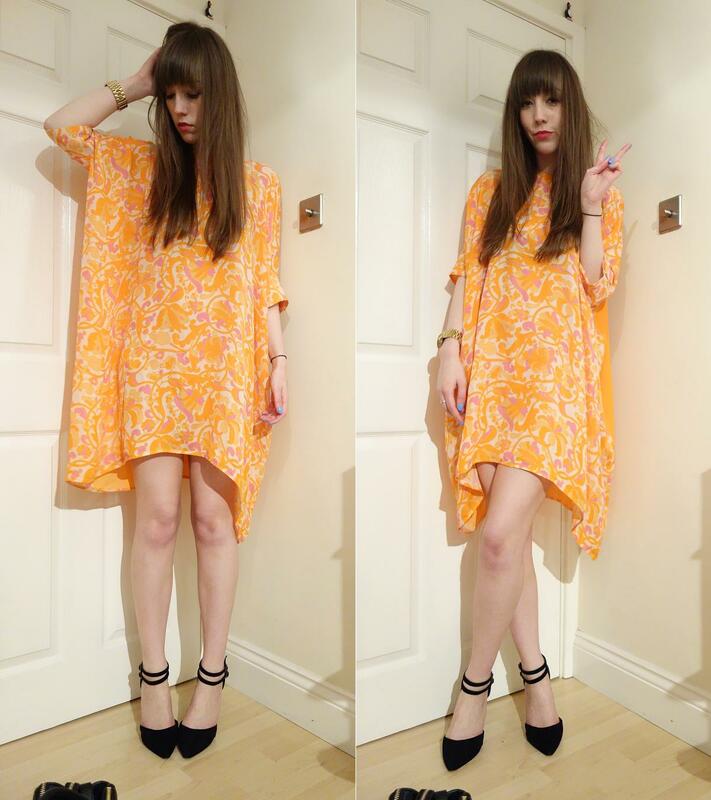 check out the lovely velvet daisy for outfit inspiration, i love jess’s style!